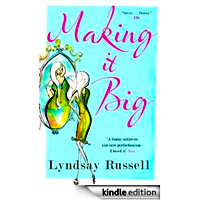 Making it Big by Lyndsay Russell womens fiction. Lyndsay Russell's first novel, Fat Chance shows why publishers should give new authors a real chance. Her use of vocabulary to paint the picture and make us join her heroine on an emotional rollercoaster is invigorating. The story is about a very unhappy overweight young woman who decides to take a chance (a fat chance, or is it a slim chance?) on an advertisement in the back of a magazine that promises "A Magic Chance to Change Your Life". Follow her on the journey that follows, and take a look at our world turned upside down and backwards, and laugh at how opposites, become reality. What a fantastic book .... I came upon this book through a random search for something to read on my kindle, and I am so glad I did. It has changed my life completeley, and anybody who has ever had a problem with their weight will laugh and cry along with Sharon in the book and agree with me. If only life could be so simple eh? I have spent my life worrying about what people think about how I look, and have lived on a continual yo yo diet, and not even done things that I wanted to do because I felt self concious of my weight. Due to a fantastically written book I feel so different, and view things in a totally different way. 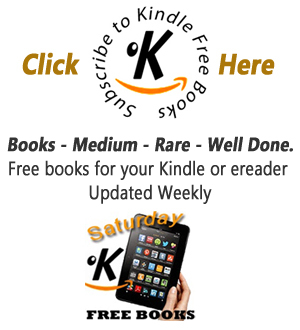 It is a great story that makes you want to just keep reading and reading. p.s. when's the next one coming out? ?